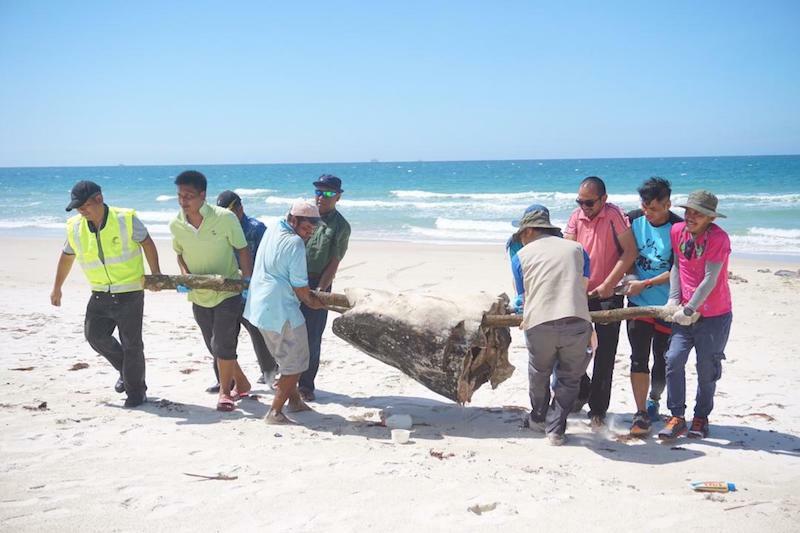 Following which Sabah Wildlife Department’s Wildlife Rescue Unit (WRU) was alerted and rushed to the scene to conduct a necropsy on the carcass of the male whale shark. 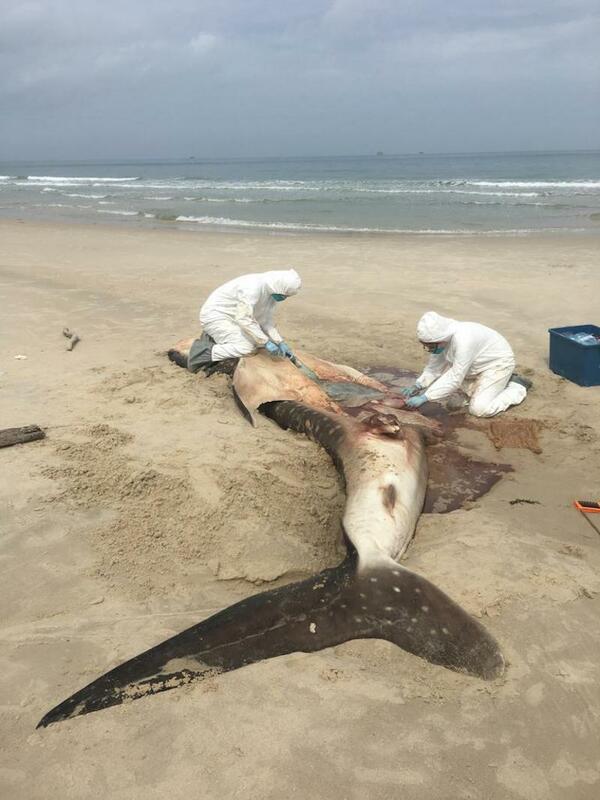 According to Sabah Wildlife Department's WRU manager Sen Nathan, during the post-mortem on the whale shark, a huge plastic bag was discovered inside its stomach. 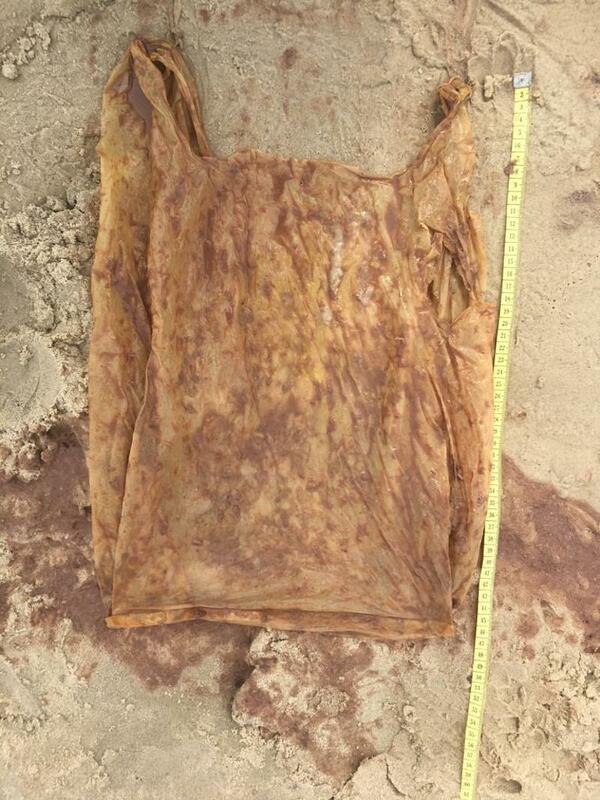 "When a post-mortem was done, we were shocked to find a large plastic bag measuring 46cm in height by 32cm in width that was causing a physical obstruction in its gastrointestinal tract. It was evident that the cause of death was due to intestinal obstruction leading to starvation and death" Mr Sen was quoted as saying. WRU staff conducting a post-mortem at Tanjung Aru Beach in Menumbok. According to Tuuga, the best solution to protect marine animals is to either dispose of plastics correctly or stop using them, reported NST Online. "This should be a grave reminder to us that disposing of plastic correctly or even better, not using plastic bags and other plastic paraphernalia at all would be the best solution to protecting our ocean's inhabitants," she was quoted as saying. The Star Online reported that plastic objects such as bags, etc. are often mistaken for jellyfish and other food sources by marine creatures, in this case, the whale shark. Once consumed, they eventually become the source of death in many of them. The whale shark, also known by its scientific name Rhincodon typus, is a species that is not protected under the Wildlife Conservation Enactment. However, the species is still protected under the Fisheries Act 1985 and International Trade in Endangered Species of Wild Fauna and Flora Act 2008, and is not allowed to be exploited (caught, eaten, sold or exported). It is not the first case in recent years.